Whether you are a visitor to the campus or a regular commuter, it’s easy to get to the University of Washington by bus or train. More than 60 bus routes serve the University District, including many that drive onto the campus itself. Coming from the airport? Link light rail provides direct service between Sea-Tac Airport and the UW station. Going to Husky stadium? Transit is the easiest way to get to the game. Bring your bike: All six transit agencies have easy-to-use bike racks on their buses so you can bike one way, or just part of the way, and ride the bus for the rest of your journey. Check out our biking page for more information. Download the One Bus Away app. Call 206-BUS-TIME at 206-287-8463. You will need to know your route and stop number. 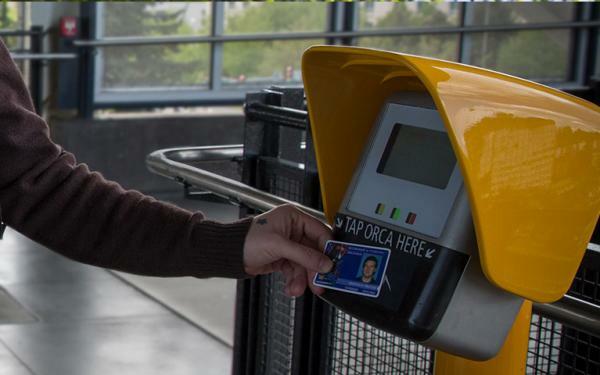 To enhance security when traveling at night, King County Metro offers a convenient service called Night Stop. Available between 8 p.m. and 5 a.m., Night Stop allows you to ask the driver to let you off at any point along your bus route, even if it is not a Metro bus stop. If you are traveling around or near the UW campus late at night, you may also wish to take advantage of UWPD NightWalk or the NightRide Shuttle.